This 2 bedroom, 2 bath residence with 56 s.f. balcony features 10 foot ceilings, oversized windows, walnut floors, HVAC system with digital climate control, built-in home office, master dressing room/walk in closet, Bosch washer/dryer, in wall conduits for home theatre, audio system and motorized blinds. The open kitchen with stone counter tops, translucent glass and lacquered painted cabinets and the stainless steel appliances create a clean design. The appliances are all Sub-Zero and Bosch and include a Sub-Zero wine refrigerator. The master bath contains a double vanity, soaking tub with separate shower, stone floors with radiant heat and a stone mosaic wall installation. Both bathrooms include Dorn Bracht fittings, glass and porcelain tiles, recessed medicine cabinets and Toto toilets. 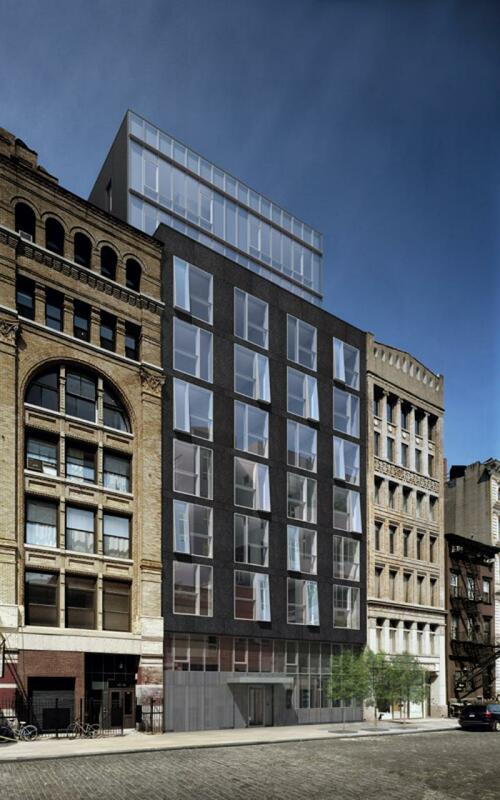 48 Bond is a 14 unit building designed by renowned architect Deborah Berke. With only two residences per floor, 48 Bond feels like your own private home. Its amenities include a 60 foot salt-filtered lap pool, well appointed fitness room, and part-time concierge.